What About Anti-Radiation Chips, Smart Stickers, Harmonising Buttons, and Shields? Many mobile phone protection stick on shields, chips or buttons make claims to manage the radiation problem in ways that are not verifiable by recognised scientific methods. We have evaluated a number of such products and have found in many cases that many of them simply do not work. On the other hand, our Anti-radiation phone covers, headsets and other solutions offer outstanding levels of protection (up to 100%) and are proven by verifiable SAR testing in accredited laboratories. In fact we are proud to say that our range includes some of the most effective radiation reducing solutions available anywhere in the world. 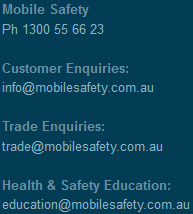 To manage mobile radiation exposure successfully please refer to our phone safety tips or shop our high quality anti-radiation products that have been carefully selected not just on effectiveness and quality but also on ease of use and design. Proven Technology. Same Day Shipping.